Just weeks ago, steel manufacturer Sovel, one of Greece’s biggest industrial units, temporarily shut down its plant in Volos for twenty days as a result of a lack of orders. A few days ago, the Sidenor plant in Thessaloniki followed suit. The developments have left Greece without a single steel manufacturing plant in operation at present. 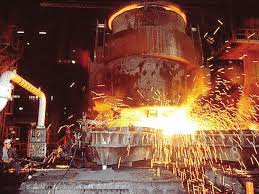 Any needs that may arise are restricted to processing work at rolling mills. Demand for steel in the Greek market has nosedived as a result of the latest stoppage of work at the country’s major road projects, now at a standstill. Following an older period of stagnancy, work at these projects had recently been reactivated, producing positive signs. However, just months after the country’s elections last January, local market conditions began deteriorating to loss-incurring levels for the steel industry. Besides the subdued local market conditions, Greece’s steel industry has also needed to confront high domestic energy costs and lower international commodity prices, pressured by signs of an economic slowdown in China. At this stage, the resilience levels of local steel producers are being severely tested amid an ongoing and deep Greek recession that has now clocked up five years, leading to two steel unit closures so far. Greek industry has been forced to adjust. As a result of high electricity costs, industrial units have stopped operating during regular working hours and, instead, have switched to late-night shifts. Greek industry has also turned its attention to foreign markets. However, the high energy costs, transportion costs, and intense international competition have combined to generally produce moderate results which are covering fixed operating costs and barely keeping units alive.